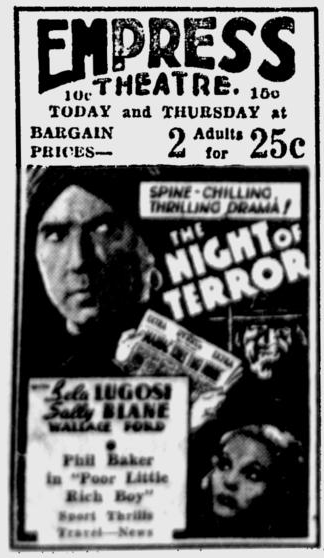 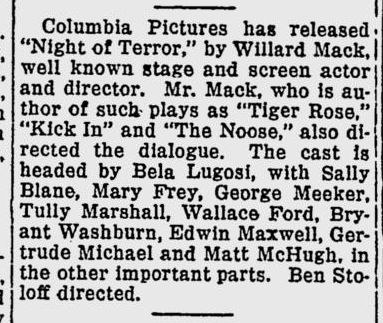 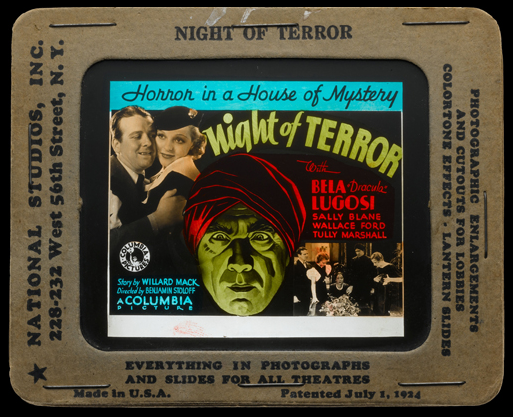 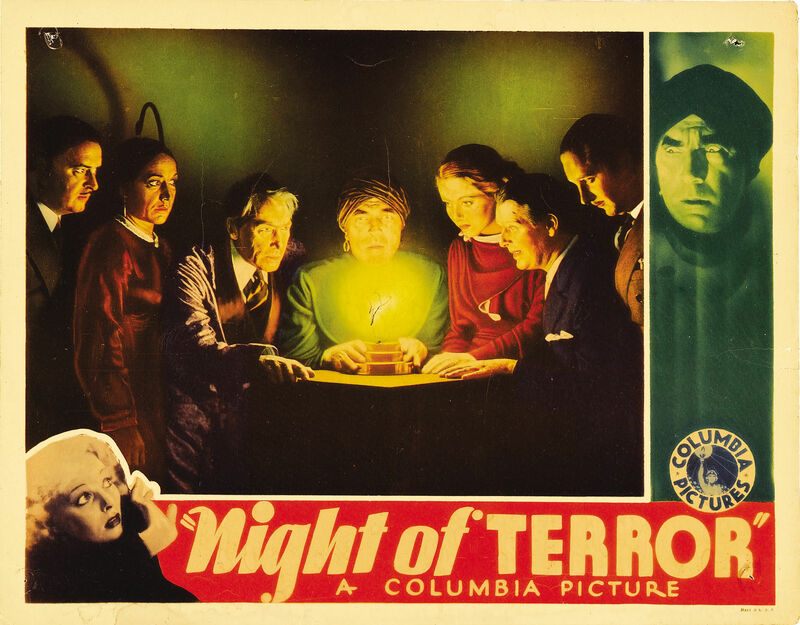 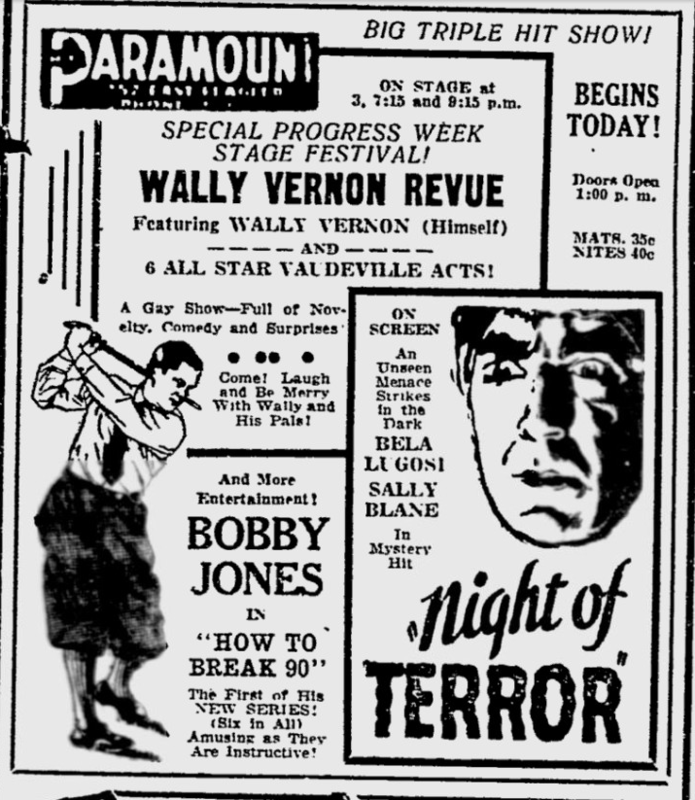 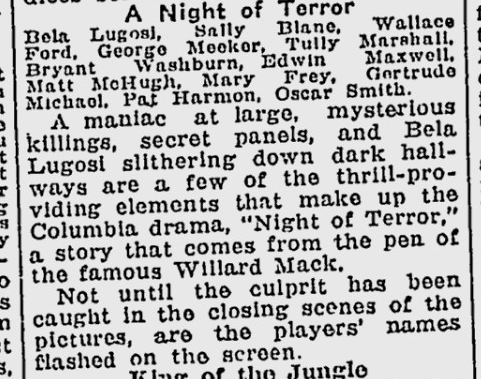 Originally announced as He Lived To Kill, Night of Terror was based on Willard Mack’s story The Public Be Damned. 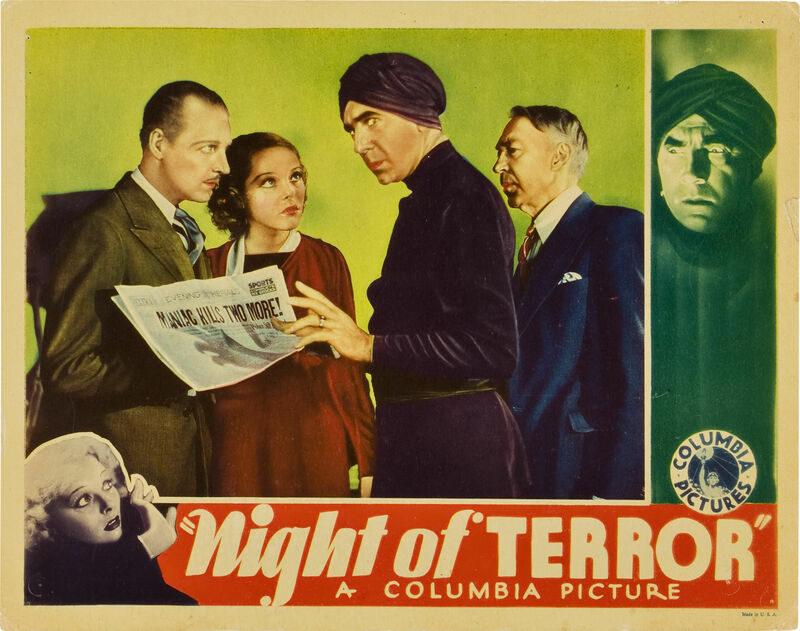 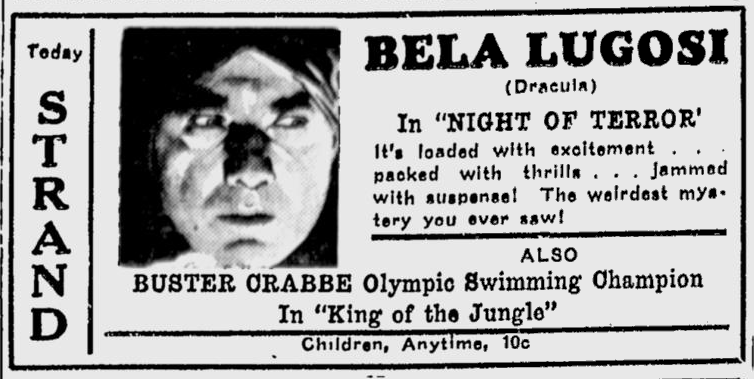 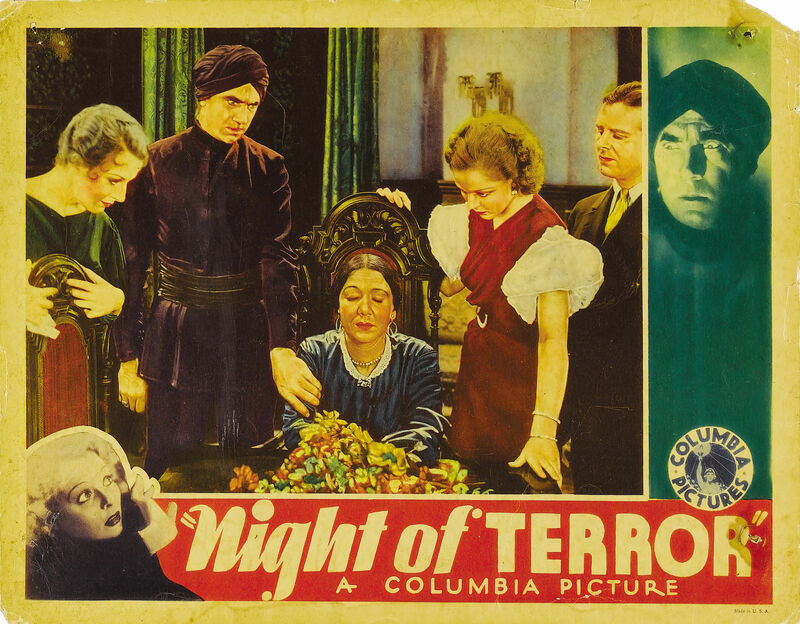 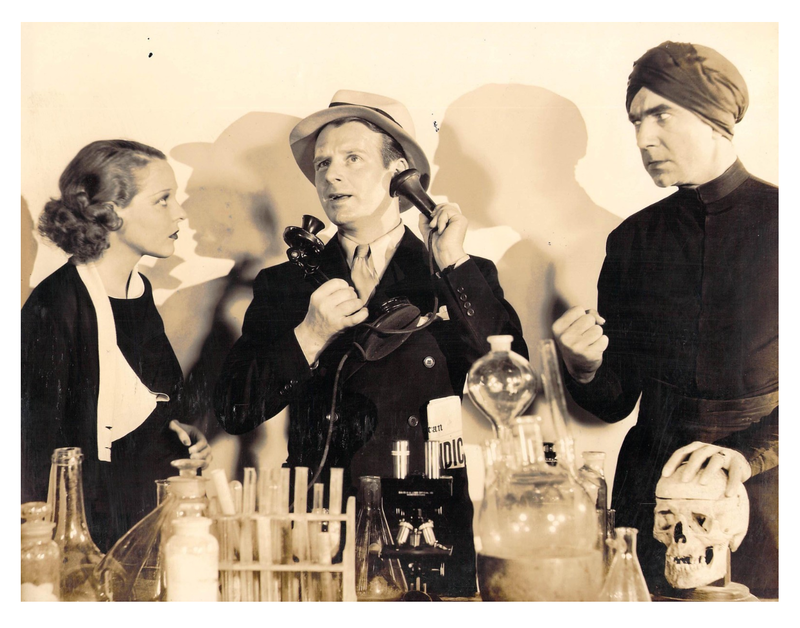 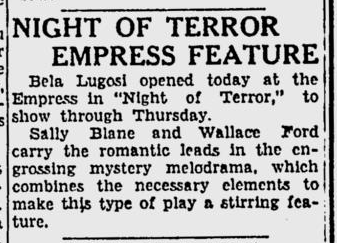 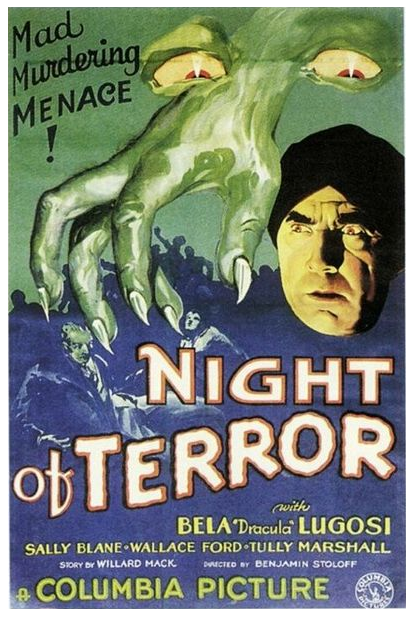 Bela Lugosi plays a suspicious butler in this murder mystery. 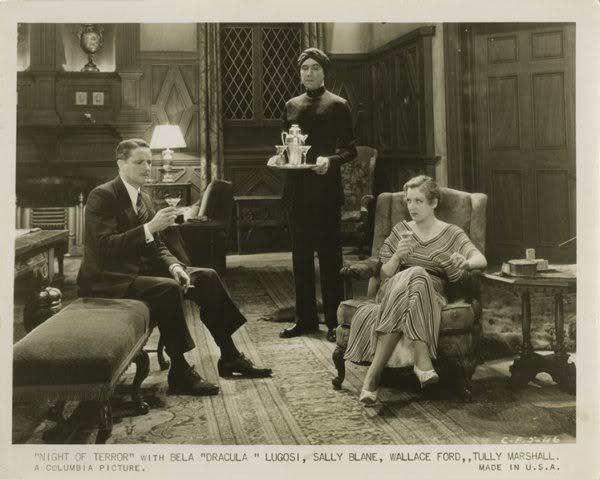 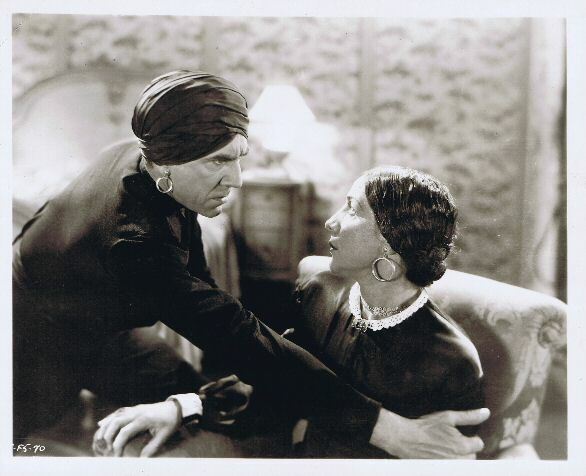 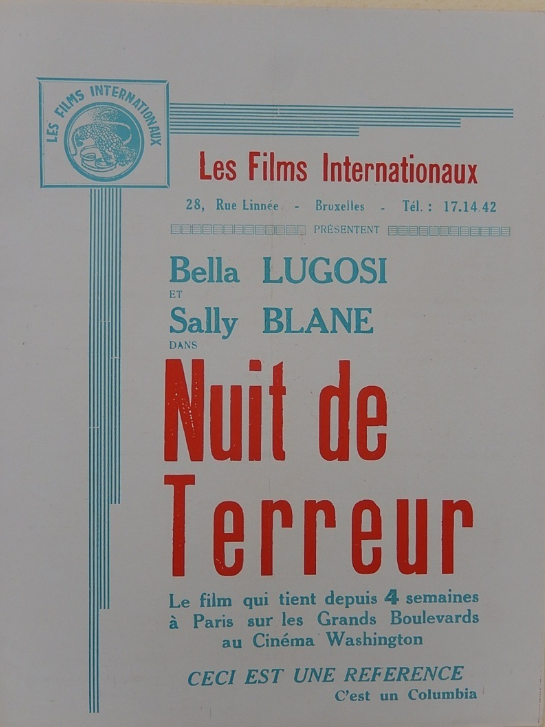 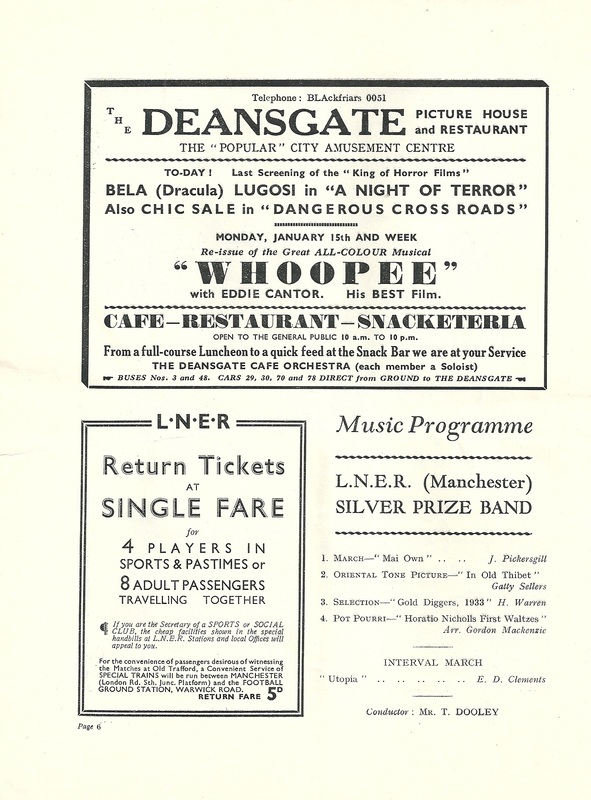 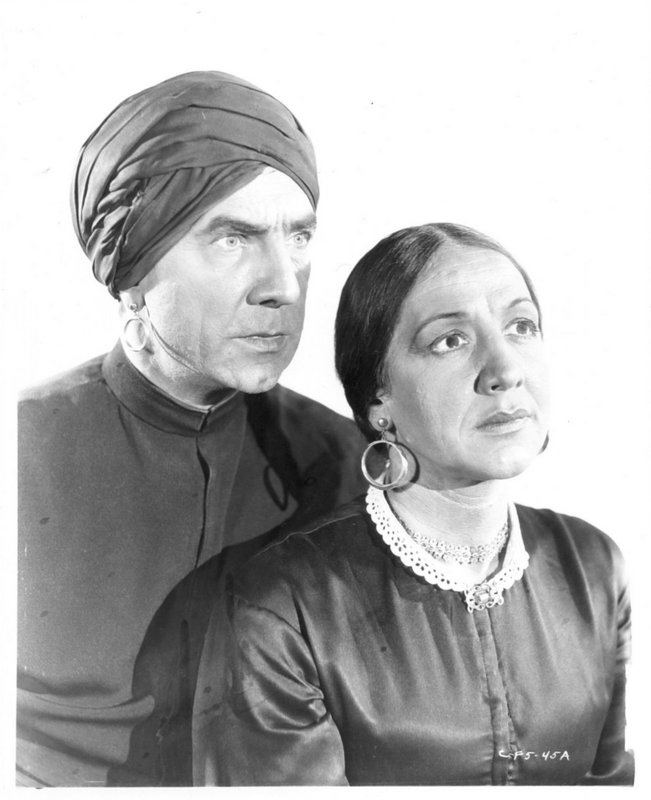 Filming took place from 2am-6am to accommodate Bela Lugosi’s daytime filming of International House. 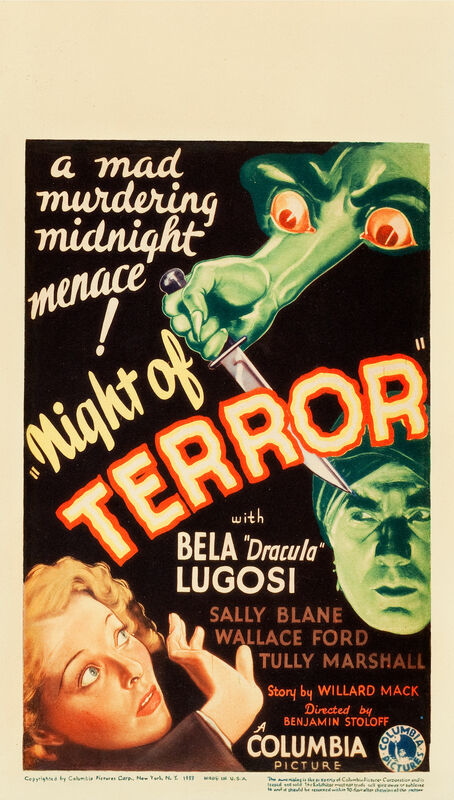 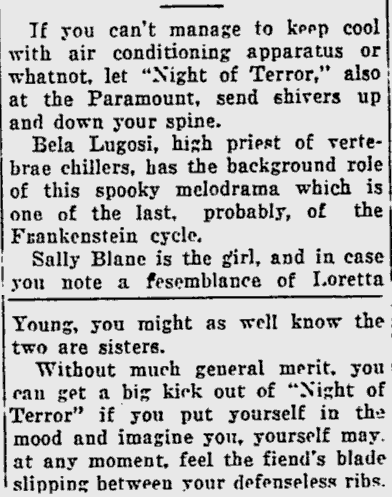 It is said that Lugosi accepted the punishing schedule as he was trying to work his way out of debt. 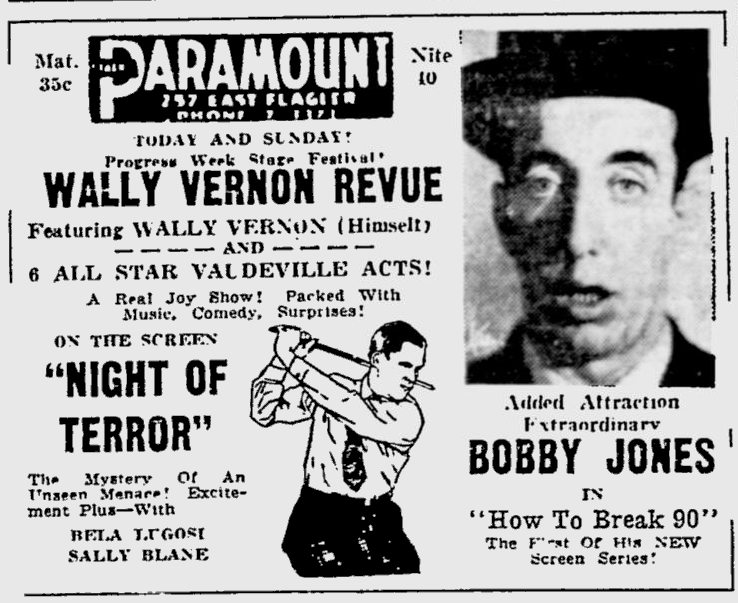 He had filed for bankruptcy in October, 1932. 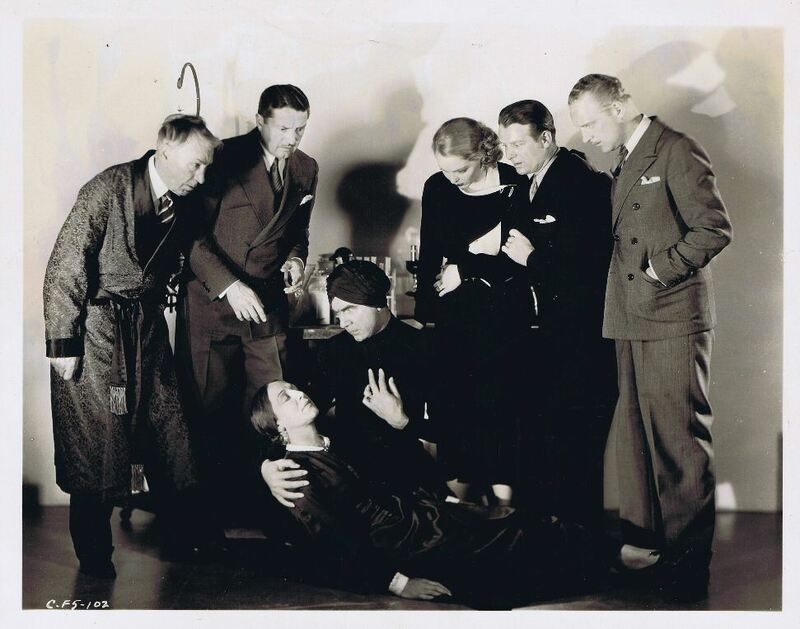 The murder mystery was released to generally poor reviews.